I enjoyed Vanish just as much, if not more, than Firelight. Sophie Jordan has created a unique series with a lushly described world that I just can't leave. I had a hard time putting this book down, and read it in only two days (an almost impossible feat with a new baby). I love Jacinda's character. She is the perfect example of a young girl trying to balance her obligations to others and her own desires. Jacinda has some tough decisions to make in Vanish, and while the decisions she made weren't the ones I wanted for her, they were decisions that made me respect her. Jacinda has grown up a lot since the first book, even though less than two months have passed, and I really enjoyed reading about her character growth. One of my favorite things about the Firelight series are the relationships between characters. There's a thin line between love and hate, something that Jacinda knows well. Her world is turned upside down yet again by the events in Vanish, but Jacinda picks herself up and keeps going. I really admire that in a character. But what endeared her to me the most were her sacrifices for other people. Jacinda puts others before herself, which to me is the true marker of growth. Sophie Jordan's imagery is excellent. I love how she describes the draki: detailed enough that I can picture them, but spare enough that I have my own unique idea of what they look like. I love being able to imagine things for myself---isn't that one of the best things about reading? 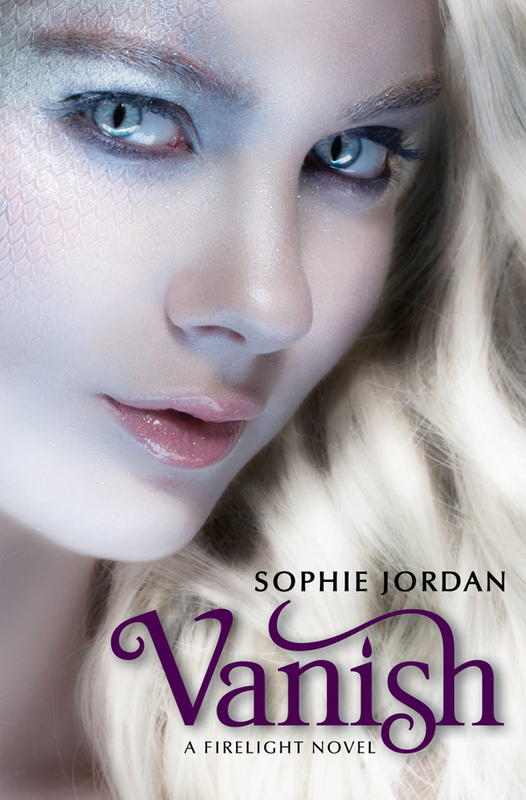 Sophie Jordan has really set herself apart with Firelight and Vanish. I would recommend this series to anyone! I really enjoyed Firelight, but I felt Jordan's writing didn't live up to her standards in Vanish. Nonetheless, I loved it! Well I have not read the story yet but I have this in my bookshelf and I thank you for the nice comments and reviews because it made me more excited to read this book. glad u enjoyed it as much as it did! Team Caspian!! It was wonderful seeing Tamara finally manifest and have something to bring her and Jacinda close again. I think Jacinda has a long road ahead to figuring out her feelings for Will and Cassian. I think she has feelings for both that will get in the way of totally being with just one person. I look forward to reading book 3 and seeing if they can find Miram. This was a wonderful and quick read!